NBase is the core module of NVerzion’s automation software system, providing a means to maintain a wide variety of media related metadata and share it with all applications running on the system. NBase uses an SQL database to ensure that all applications have up-to-date and metadata information. Since applications “register” with the system, any application running automatically notifies NBase whenever a modification is made and then NBase automatically notifies the rest of the system applications. 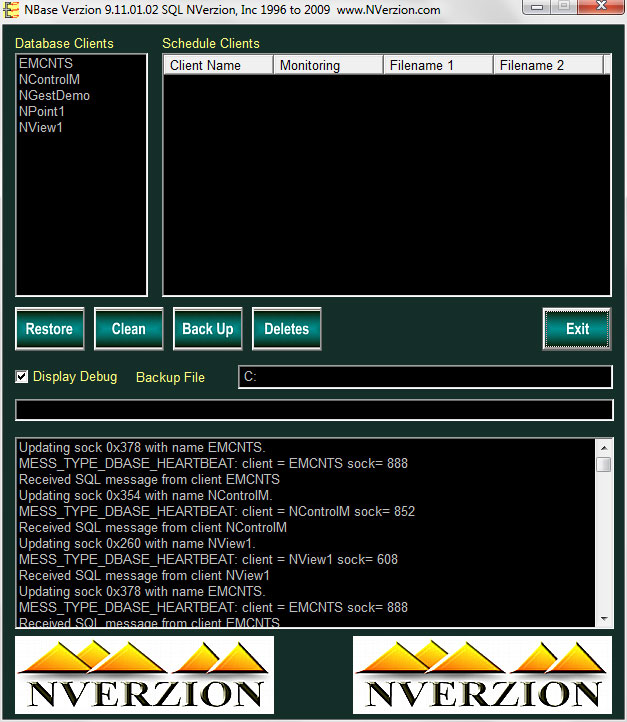 Working hand in hand with NVerzion’s NView database viewer, NBase is an extremely reliable tool to keep all system elements operating in complete synchronization.